Don Hertzfeldt is an artist, animator and independent filmmaker. His cartoons have been awarded over 250 times. They have been described as some of the most influential, vital and expressive animation films of the millennium. 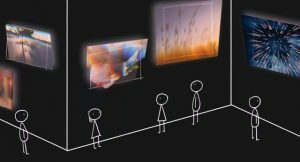 The work of Hertzfeldt is marked by hand-drawn stick figures, traditionally created with pen and paper, and it employs old-fashioned special effect techniques such as multiple exposures and experimental photography. His drawings are combined with tragicomedy, black humor and surrealism stories. 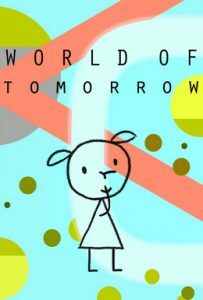 In January 2015, Hertzfeldt’s first digitally-animated short film, World of Tomorrow, was premiered at the Sundance Film Festival as the Grand Jury Prize. While in 2016, has been nominated at the 88th Academy Awards as Animated Short Film. This short animated film is a science fiction vision of a future where the digital age and reality are connected via “Outernet”, a neural network that is a technologically advanced version of the Internet. All begins when little Emily answers a call of its communication unit. Instagram is a free application that allows users to take photos, apply filters, and share many of the social networking features. Despite the few effects and the standardization of the product it is funny. Particularly interesting is the square format, even if much more difficult to manage than the classic 2/3. The photos are imperfect but they ‘taste good’. After some magazines started talking about an alleged weight gain, the singer Lady GaGa opened up about her struggle with eating disorders. She also posted on her social network some photos in which she proudly show off her curvier body. This is the first step of her association Born This Way Foundation’ new campaign called Body Revolution 2013. This campaign is willing to celebrate young boys and girls’ body by posting a picture of their imperfection with explanatory captions. Thousands of fans joined her battle cry by sharing photos of missing teeth, scars, evidences of eating disorder and so on.